Whether you’re pregnant or the mom of a toddler or teenager, knowing the caffeine content of drinks and foods can be very useful. It seems like everywhere you look, there’s caffeine, whether it’s in coffee, an energy drink, or chocolate milk. 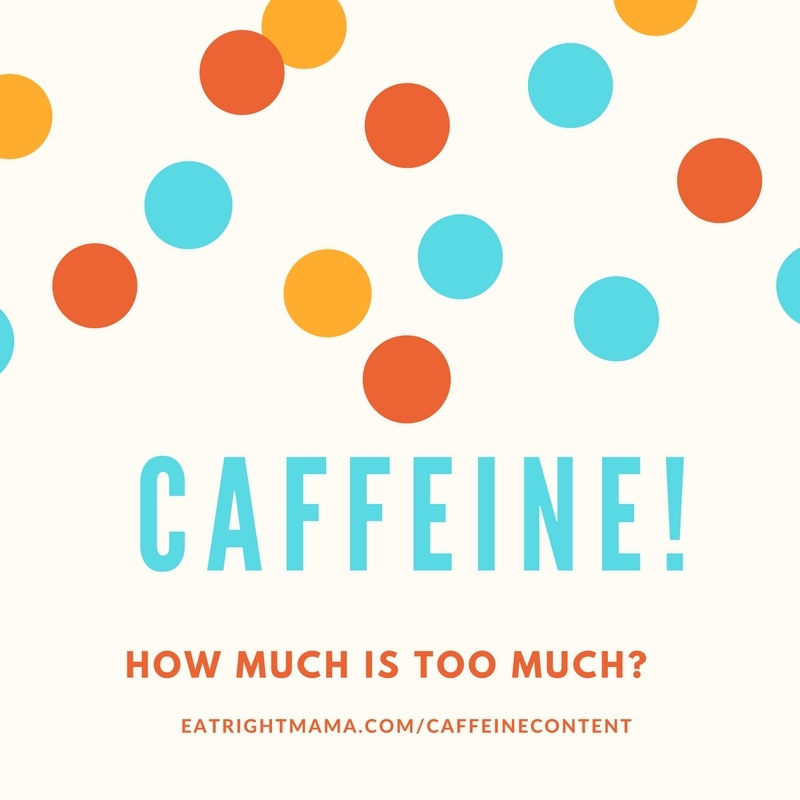 First let’s set a few things straight: how much is too much and why is too much caffeine a problem? What Happens If You’re Over-Caffeinated? 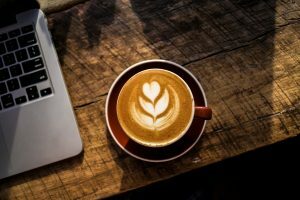 Caffeine stimulates the central nervous system, which is great if you’re trying to stay awake to write a paper or keep alert when on a road trip. But too much can make you nervous, irritable, restless, have an upset stomach and too much caffeine can make your heart race. Not pleasant side effects! And people who already have problems with anxiety may be more sensitive to these effects. Generally speaking, 500-600 mg can cause the side effects mentioned above, but it’s also about tolerance. I have a small but steady caffeine intake from half-decaf iced tea. I’m sure if I had an energy drink, I’d feel like my heart was exploding!! In the US, we consume an average of 300 mg a day, the amount in about 2 cups of average strength coffee. That’s what Health Canada suggests as a limit for women of childbearing age. Most health experts agree that 400 mg of caffeine is a moderate amount for most people. Trying to Conceive or Pregnant. As little as possible–up to 100 mg the first trimester; 200 mg after. (Guidelines from Eating Expectantly, which are stricter than the March of Dimes.) Health Canada recommends no more than 300 mg. Why set a limit? Some studies have shown a link between caffeine intake and reduced birth weight as well as miscarriage. However, the research has been conflicting. 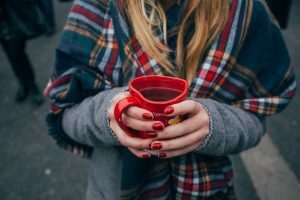 Read more about Capping Your Caffeine. Breastfeeding: Limits are flexible because only a small percentage–up to 1.5% of the caffeine that mom drinks– makes it into the milk. However, the younger the baby, the longer the caffeine stays in the system. It will take a newborn 3-5 hours to clear caffeine from his body. 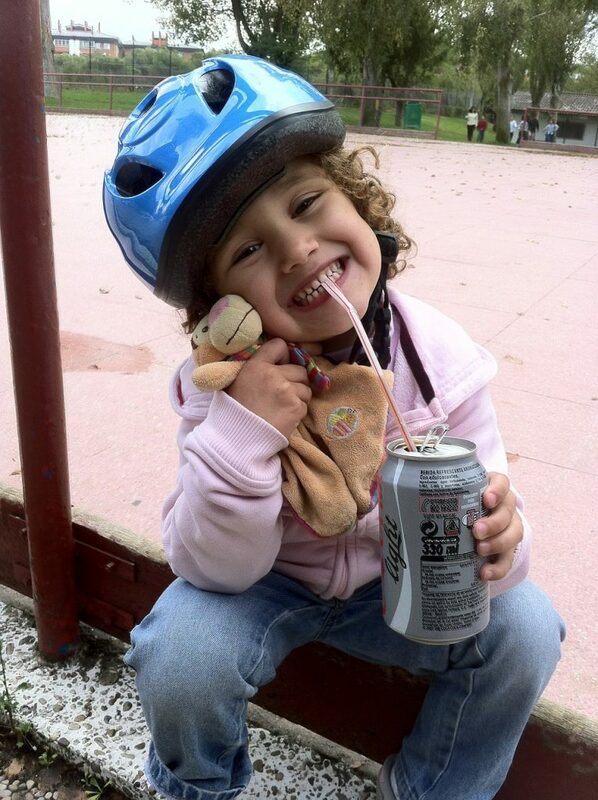 Babies whose moms drank more than 750 mg showed signs of caffeine stimulation. Infants: Don’t even think about it! Adolescents & Teens: Again, there’s no US guidelines, but while Health Canada doesn’t set a specific limit it does suggest a limit of no more than than about 1 mg per pound of body weight. Older and heavier teens may be able to handle an “adult” amount of caffeine. Adults: Health Canada recommends a limit of 400 mg per day. Besides the usual–coffee, tea and cola, caffeine is found naturally in Guarana and Yerba Mate. These are often ingredients in “natural” energy drinks, but caffeine will not necessarily be listed on the label because it’s not an “added” ingredient. Eight ounces of Yerba Mate has about 85 mg of caffeine, the same as an energy drink or about 2-12 oz colas. I have good news for you if you love chocolate or hot cocoa. Not only does chocolate contain antioxidants that really are good for you, chocolate also has very little caffeine. So don’t worry if you’ve got to put a squirt of chocolate in your tot’s milk for him to drink it, or if you’ve switched from coffee to cocoa during your pregnancy. Happily, the caffeine in chocolate is nothing to worry about! However, you’ll see in the chart below that very dark chocolate (70% and up–enough to make my hair stand up!) is packing the same amount of caffeine as a cola. 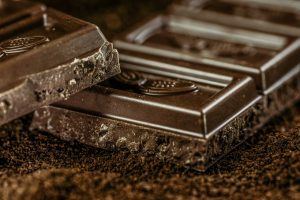 So, be careful that you don’t binge eat on dark chocolate or it may keep you up at night! The caffeine content of Dark Chocolate CAN add up, but there’s very little in milk chocolate or cocoa.